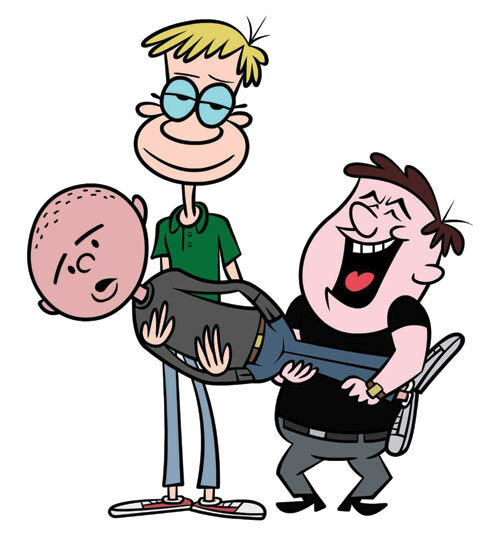 The third series of The Ricky Gervais Show has started - the animated series using the original recordings of Ricky, Steve and Karl's podcasts is on Fridays on HBO at 9pm. In the UK, the new series start 8th May on E4. Watch the first teaser and trails below. Here's a first look at how Ricky, Steve and Karl will look. AV Club offer their review of the first episode of Season 3 - Bryan's Brain. The third season of The Ricky Gervais Show premieres on HBO 30 April at 9pm. Watch the teaser and TV spots here at Cinemablend. Entertainment Weekly's Pop Watch has its say...Read here. Paste magazine reviews this week's episode of The Ricky Gervais Show. The Emmy Award Winning animated comedy "The Ricky Gervais Show" gets a US DVD release at the new year - January 4th. The Ricky Gervais Show has been nominated in the category of 'Outstanding Animated Program' for this year's Primetime Emmy Awards. Award winners are announced at the end of August this year. Here's Ricky, Steve and Karl's contribution to the C4 charity event in aid of Great Ormond Street Hospital. HBO have commissioned a second series of The Ricky Gervais Show which should air next year. The first series comes to Channel 4 in the UK on April 23rd. The New York Post gives the thumbs up to the new animated series. 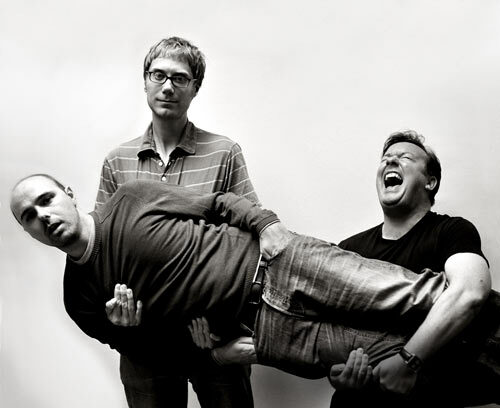 Big Ricky, Steve and Karl interview about The Ricky Gervais Show on HBO - premieres next week on the 19th Feb. The Toronto Star asks Ricky about the new animated series and Karl in particular. Following its Feb 19 premiere on HBO in the US, the animated series (based on the audiobooks with Ricky, Steve Merchant and Karl Pilkington) comes to the UK in the spring on Channel 4. The new TV cartoon series based on the Ricky Gervais Show podcasts and audiobooks is set for a debut showing on 19 February 2010 in the US.